If you’re reading this at home right now, take a moment to go to the kitchen and look inside your refrigerator. Take a long, hard look at what’s in there and give it a health rating on a scale of one to 10. Chances are that some of the food and beverage items in your fridge are not as healthy or as natural as you might want to admit, but it’s never too late to swap out those foods with more beneficial versions that you can grow to love just as much. Here are a few easy and healthy fridge swaps to make in your kitchen to pursue a more natural diet. The beverages in our refrigerators are often among the greatest sources of sugar, unwanted calories, and questionable ingredients. One beverage swap worth mentioning involves clearing all of the soda from your fridge and drinking sparkling water instead. Soda is notorious for adding extra calories to your diet, fueling you with caffeine you don’t need, and taking a toll on your teeth too. Instead, pick up a case of either flavored or plain sparkling water to get a fizzy beverage without all of those other side effects. 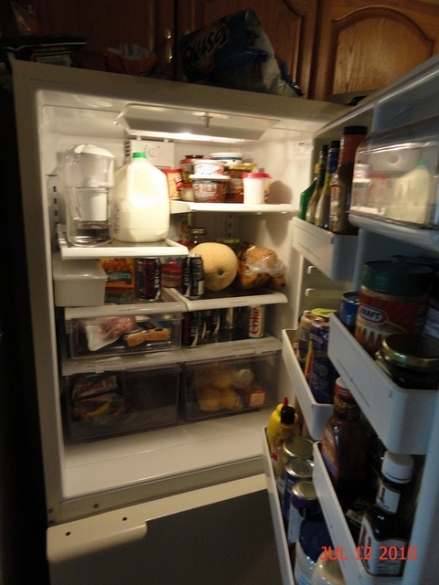 Another easy beverage swap in your fridge involves your choice of milk. 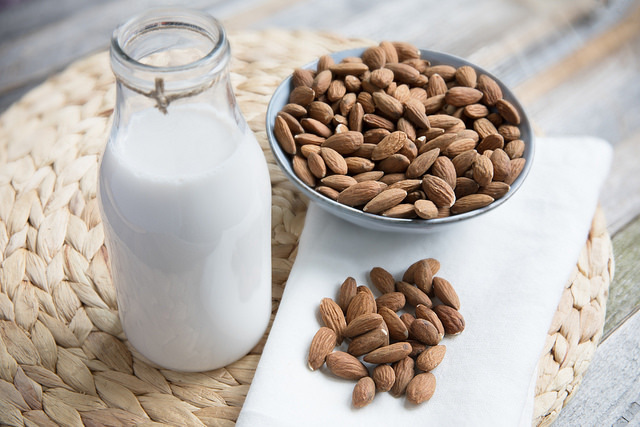 Nut milks, such as almond milk and cashew milk, have advantages over cow milk for several reasons. Many people are lactose intolerant, which makes nut milk an obvious choice. Meanwhile, other people choose nut milks out of concern for animal welfare issues and because they are generally lower in saturated fat. You can also avoid hormones used in cattle raising and extra calories if you choose almond milk, for example. If you flip around the bottle of salad dressing in your refrigerator, you might be surprised to see how many calories and how much fat it contains. For a healthier and more natural substitute, try making your own simple vinaigrette dressing at home to season your leafy greens. Simply combine three parts extra virgin olive oil with one part vinegar and add salt, pepper, or other herbs and spices to taste. Ice cream is certainly delicious on a hot day, but try to make it a special treat when you’re out in the summer rather than a grocery staple in your kitchen. If you have a sweet tooth and crave something tasty after dinner, stock your fridge with plain Greek yogurt instead. To add flavor, texture, and extra health benefits, toss some fresh berries, nuts, seeds, and a few drops of honey into your yogurt. Since Greek yogurt is rich in calcium and low in saturated fat, this is a delicious and guilt-free way to enjoy a sweet treat. Your refrigerator’s condiment shelves may also be in need of a little extra attention, and this goes beyond the bottle of salad dressing you already threw out. For example, the soy sauce you commonly use on stir-fry dishes is likely high in sodium, which can comprise your heart health over time. An easy swap you can make here is to replace soy sauce with coconut aminos, which is a liquid condiment made from coconut blossoms. Coconut aminos are far lower in sodium, and they are vegan and gluten-free too. These are just a few examples of fridge swaps to make your diet a little healthier and more natural. If you have any additional fridge swap ideas, please share them with us and your fellow readers in the comment section below.